Given the hustle and bustle of the morning routine on a school day, sometimes whipping up a healthy homemade meal to pack in my son's lunchbox can be a real a challenge. 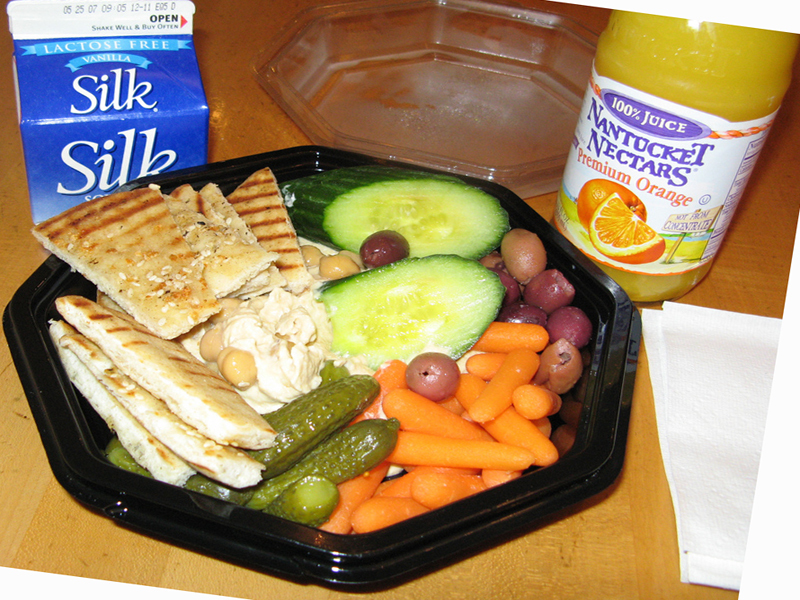 Which is why I like to prepare his <a href="http://www.inhabitots.com/a-week-of-bento-box-lunch-ideas-for-back-to-school/">lunchbox meals</a> the night before. I make his lunch for the next day at the same time I make dinner the evening before. That way I'm not in a rush, and I have the time to thoughtfully put the menu together. My son isn't a picky eater, but he does prefer lunches that are complex and require a little bit of planning. He <a href="http://www.inhabitots.com/7-kid-friendly-vegetarian-alternatives-to-pb-j/">isn't a fan of a peanut-butter and jelly sandwich</a>, he likes meals that are hot and savory, and he can usually eat a portion that would rival my husband. To make the lunchbox grade, I have a list of organic school lunchbox meals that I resort to. Read on to learn our eight favorite mid-day meals that can be prepared the night before. <h2>#1: Roll it Up</h2> Wraps are great for kids because they are highly customizable and are perfect for kids of all ages. Whether it is a whole-wheat or vegetable based tortilla - adding loads of fresh vegetables and a yummy dip makes for a great lunch. 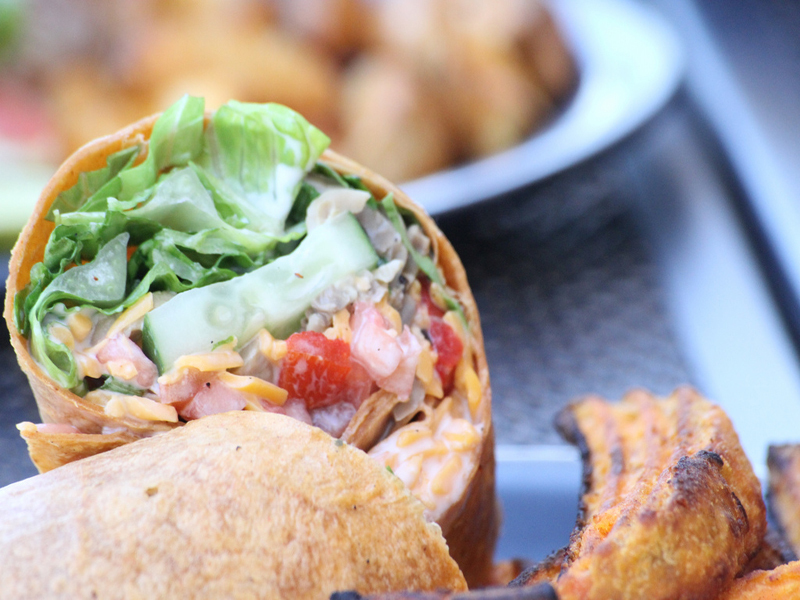 Think of it as a salad rolled up into a sandwich - what could be better for you than that? Another option is a Mexican themed wrap, think beans, lettuce, tomatoes, cheese - a burrito of sorts. <h2>#2: Healthy Lunchables</h2> Many children like the lunchables type meal - the problem is that store bought prepackaged lunches are packed with artificial colors, flavors and preservatives. Not to mention, the waste associated with the packaging. 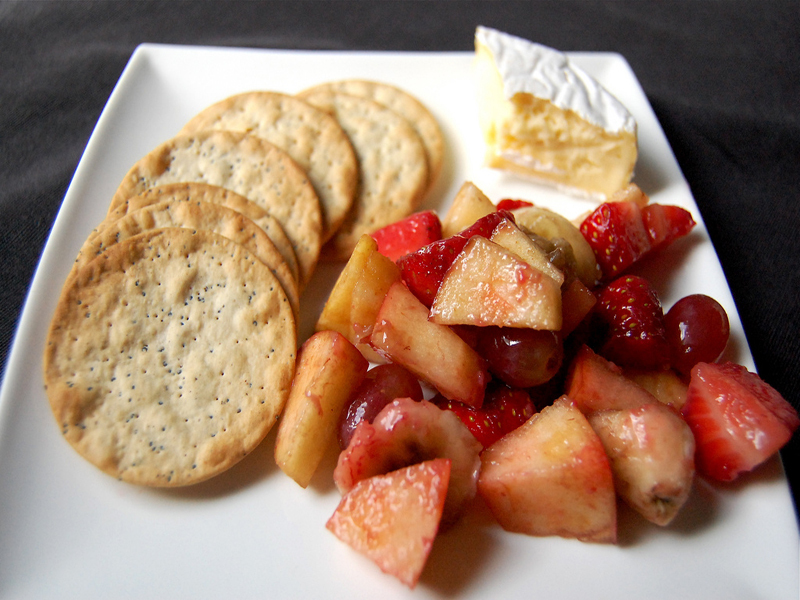 Instead, pack a yummy assortment of organic whole-wheat crackers, cheeses and spreads, and then pair with a fresh fruit and vegetable and you have a great lunch that any child will devour. 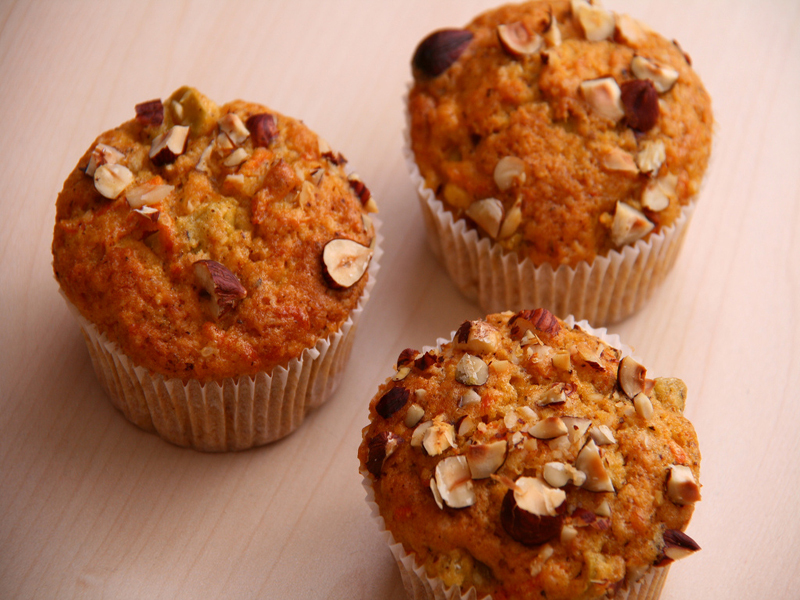 <h2>#3: Vegetable and Fruit Muffins</h2> Who doesn't like a muffin? A great way to add extra fruit and vegetable servings to your child's meal is by adding it to <a href="http://www.inhabitots.com/how-to-make-scrumptious-vegan-pumpkin-chocolate-chip-muffin-cupcakes/">your favorite muffin recipe</a>. You can pack almost any type of fruit inside a muffin and many vegetables too - our favorites include yams, carrots, broccoli and mushrooms. And when you can make a couple of muffins into a lunch entree, it's a great thing! <h2>#4: Pita Pockets</h2> Pita Pockets are perfect for school lunchboxes, they are compact and can be packed full of all kinds of yummy ingredients. 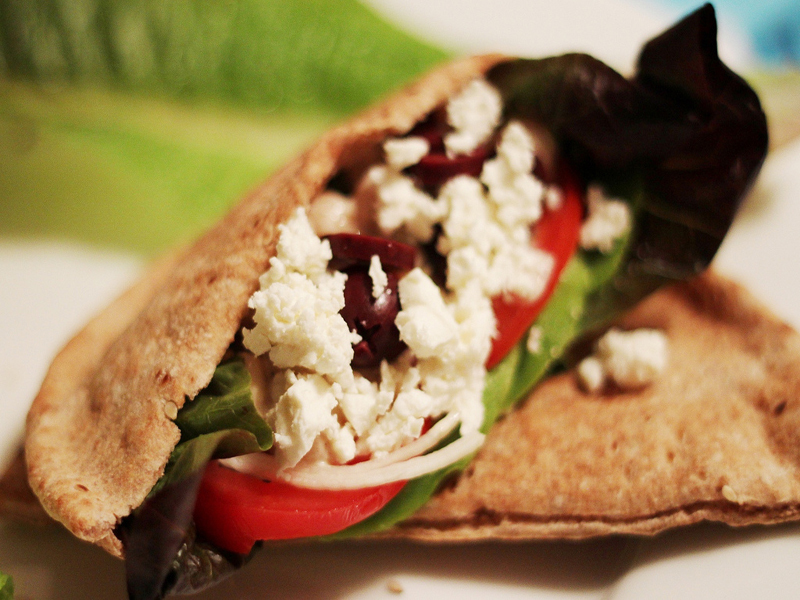 And when I say Pita Pockets, I don't mean the frozen, highly processed versions - I am talking organic whole wheat pitas stuffed with cheese, lettuce, tomato, avocado, and any of your favorite veggies. 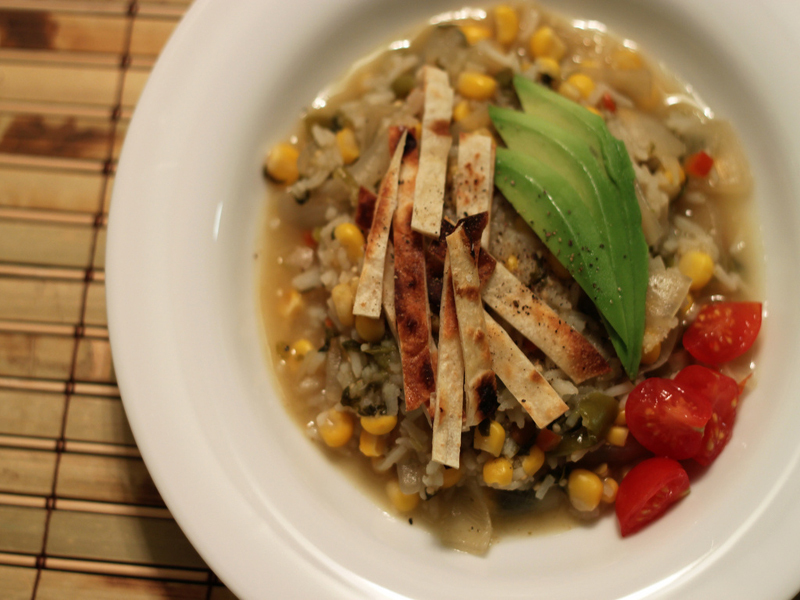 You can add whatever veggies your child enjoys for a lunch that is sure to please. 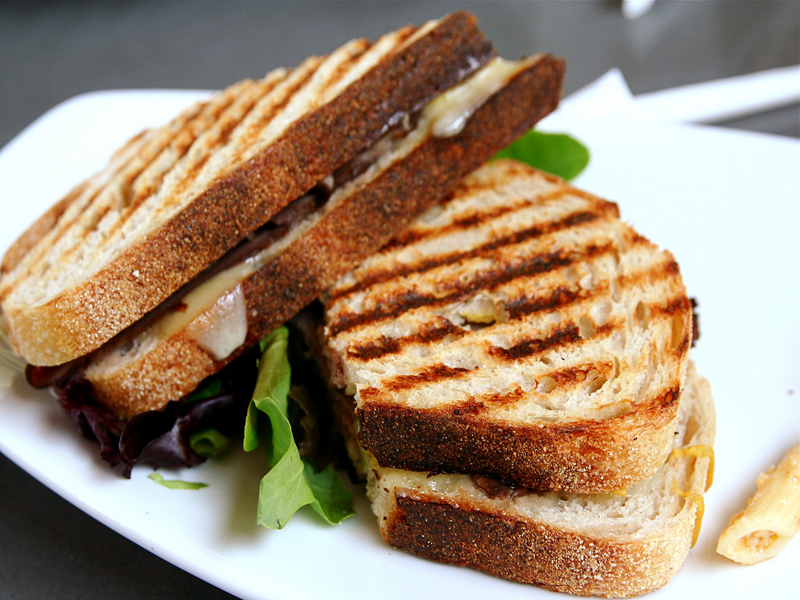 <h2>#5: Panini Sandwiches</h2> Panini sandwiches are great because they melt all of the ingredients together in a tidy little sandwich. We like to press avocado and cheese sandwiches or avocado, strawberry and goat cheese sandwiches. At lunchtime, your child can heat it up quickly or eat it cold, either way they are delicious. Lunchtime perfection! <h2>#6: Pick Your Own Cup of Soup</h2> My son is a huge fan of soups, the homemade kind, not the canned variety. To ensure that we have soup ready to go on school mornings, we make large batches of our favorite soups and store them in mason jars in the refrigerator. Each morning, we simply remove a jar of soup from the refrigerator, heat it up and put it in his thermos. <h2>#7: Make it a Sampler</h2> If your child gets bored by the same foods, try packing a sampler. I like to pack an assortment of fresh vegetable and fruit sticks, whole-wheat pita triangles, nuts, seeds, and a few dips that can be used together. For example, a homemade taziki is perfect for dipping fresh vegetables and pita triangles, then a sweet yogurt dip that is great for fruit. I like to choose fruits that won't brown over night - my son is a huge fan of citrus! <h2>#8: Leftovers!</h2> If I am not feeling creative or just don't have the energy to make a prepared school lunch, I will purposely make extra dinner and send my son leftovers for lunch. To be honest, this is probably one of his favorite options - he loves to open his lunchbox to find a large slice of vegetable lasagna, a manicotti roll or two, a serving of spaghetti or rice and vegetables. 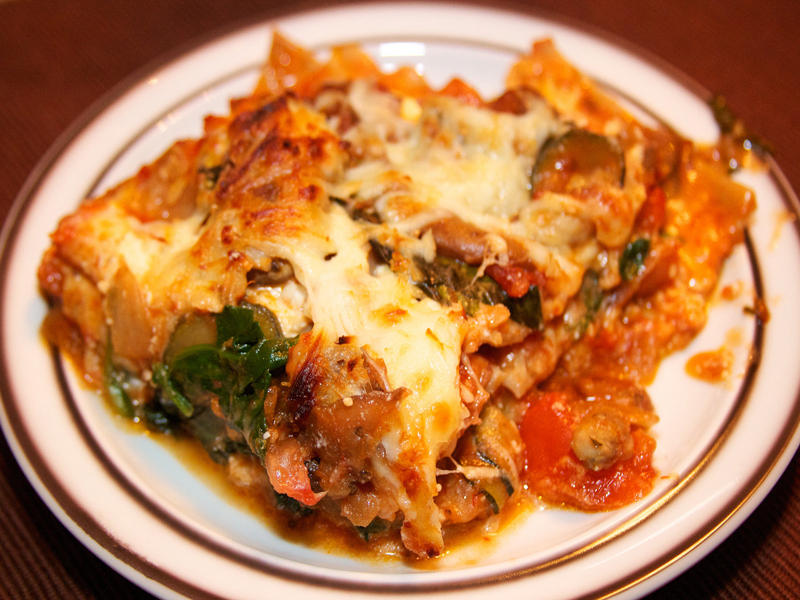 Whatever meals your child enjoys for dinner is sure to please at lunchtime too! 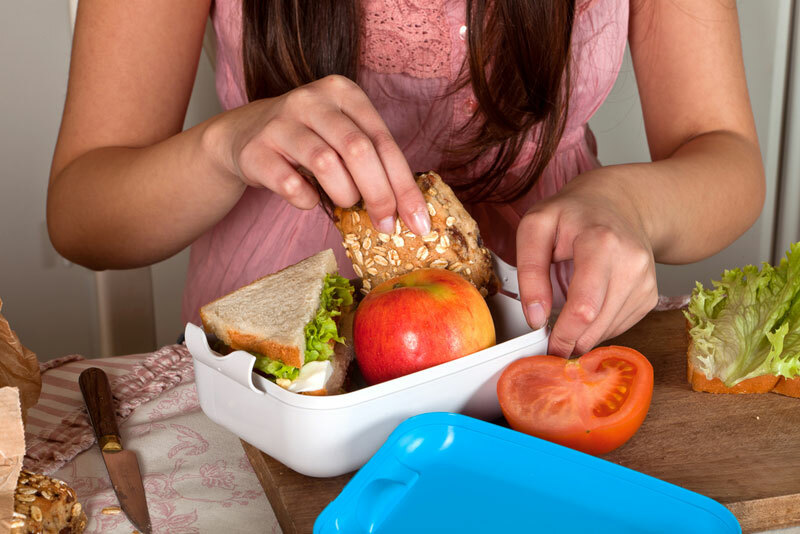 <br><br> What do you prepare ahead of time for your child's school lunchbox? Given the hustle and bustle of the morning routine on a school day, sometimes whipping up a healthy homemade meal to pack in my son's lunchbox can be a real a challenge. Which is why I like to prepare his lunchbox meals the night before. I make his lunch for the next day at the same time I make dinner the evening before. That way I'm not in a rush, and I have the time to thoughtfully put the menu together. My son isn't a picky eater, but he does prefer lunches that are complex and require a little bit of planning. He isn't a fan of a peanut-butter and jelly sandwich, he likes meals that are hot and savory, and he can usually eat a portion that would rival my husband. To make the lunchbox grade, I have a list of organic school lunchbox meals that I resort to. Read on to learn our eight favorite mid-day meals that can be prepared the night before.